This article lists a number of resources that provide Bootstrap components for your Angular, React, and Vue.js apps. When it comes to styling the components you can create with these libraries, you’re spoilt for choice: you can write your own global CSS document as you normally would on regular websites, you can write inline styles, or you can use UI frameworks — which is what I’ll focus on here. What tools are out there if you want to use Bootstrap to style your Angular app? 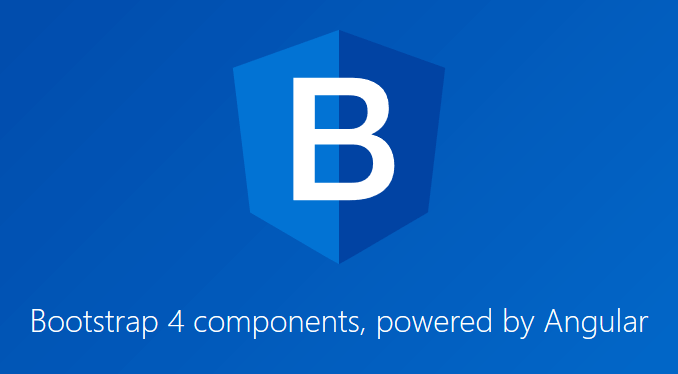 ng-bootstrap offers a set of Bootstrap-styled components that makes building Bootstrap apps with Angular a breeze. ng-bootstrap is a free and open-source project. Feel free to contribute to it or ask for new features on GitHub. This is another great, open-source modular library of Bootstrap components powered by Angular. You don’t need to use jQuery or any Bootstrap JS code, although the markup and CSS are provided by Bootstrap. 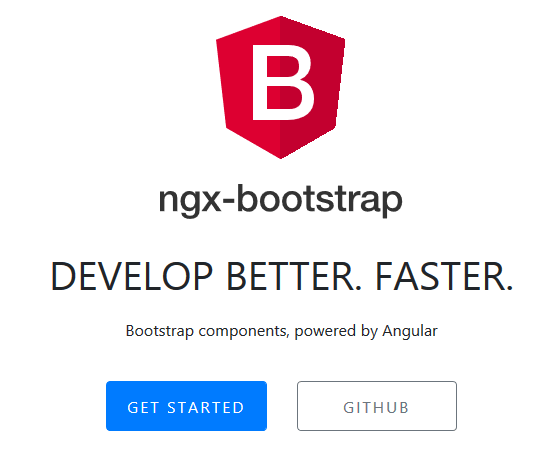 You can refer to the awesome docs pages on the ngx-bootstrap website for detailed explanations and tutorials. If you’re looking to give your React app a Bootstrap makeover, here are some of the options available to you out there. reactstrap is a fast and convenient library that lets you add a Bootstrap 4 look and feel to your React app. In this case, you need to include the React library and ReactTransitionGroup before reactstrap. If you’re curious, hop over to the docs and learn more about each component and how to integrate reactstrap with the Create React App setup. 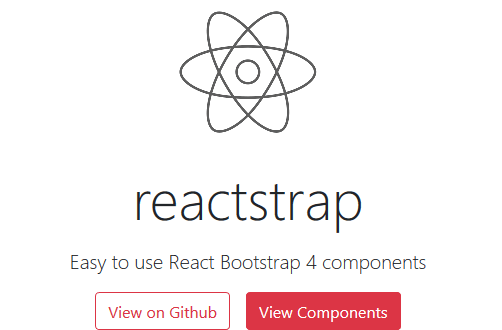 React-Bootstrap is an open-source project which is still under active development to reach the 1.0.0 release. Since this library doesn’t support any specific Bootstrap version, you’re free to include any Bootstrap stylesheet you think best suits your project. 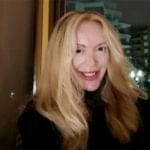 Generally speaking, including the latest Bootstrap release will ensure that you enjoy the benefits of improvements and bug fixes, so this should be your preferred option. Installing the library this way will allow you to import individual components from react-bootstrap/lib rather than the entire library. Doing so pulls in only the individual components you need rather than the entire package, which is great for keeping the file size under control. 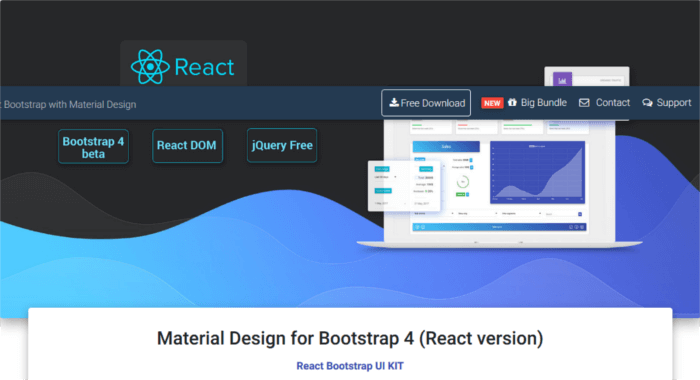 Material Design for Bootstrap (also available for Angular and Vue) is a UI library for React that combines the look and feel of Bootstrap and Google’s Material Design. being free for personal and commercial projects. Once you’ve got the files, everything is linked appropriately and ready to go. Run npm install then npm start and get coding. it has a small file size and it’s very performant out of the box. To integrate Bootstrap into your Vue-based app, Bootstrap-Vue is a nice option. provides one of the most comprehensive implementations of Bootstrap V4 components and grid system available for Vue.js 2.4+, complete with extensive and automated WAI-ARIA accessibility markup. The documentation is great and you can also try out the library before including it in your project on the Bootstrap-Vue playground. This article has listed a number of UI libraries to help you give your SPA’s components a Bootstrap look and feel. These are fully functional Bootstrap components that work with Angular, React, and Vue out of the box, without extra work required from you.